Brian started Triathlon in 2012 after calling time on a football career which involved playing for Burnley FC and semi professional clubs around the northwest. He spent a few years just focusing on running but constant injuries forced Brian into a change. 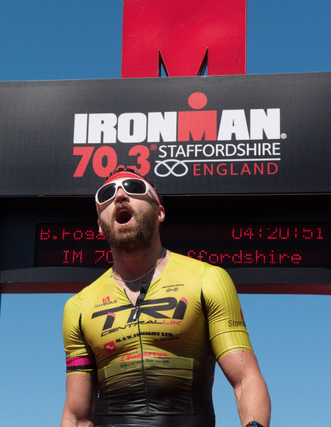 Being a very strong minded and dedicated person the appeal to do an Ironman was very strong. He jumped in with no experience and did it. It’s was then that the love for the sport began. Years on Brian’s love and passion has grown to being his life. He lives and breaths training, racing and is now helping others reach their potential as a coach for TriCentralUK. Brian has shown how balancing his full time job working for his Insurance Brokers and still improving his ironman performances are possible, he is now mixing it at the very top of Amateur world Ironman rankings, we are sure it wont be long until he is racing in the professional ranks. He is now a coach for TriCentralUk after working with Tony since 2016.